Work on the upgrade of Wyee Station will start in coming months with Transport for NSW awarding a works contract to construction firm Gartner Rose. 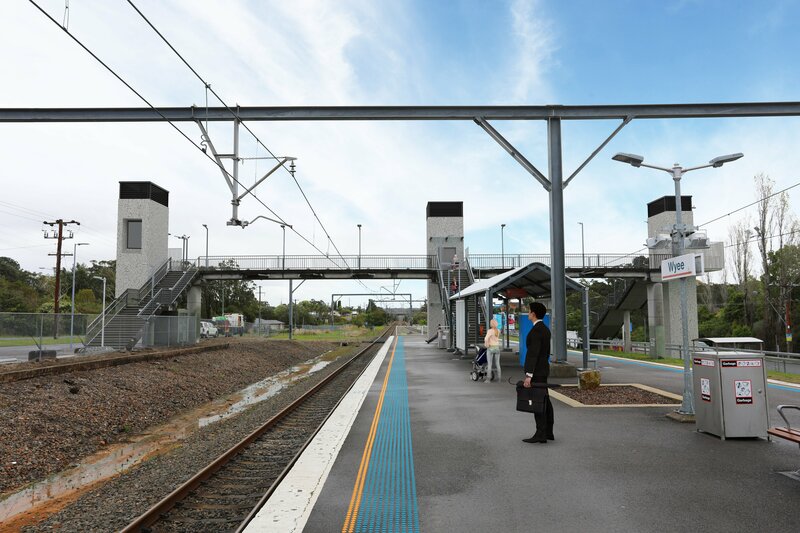 The upgrade at Wyee is being delivered under the NSW Government’s Transport Access Program which is an initiative to deliver safe, modern and accessible public transport infrastructure. I’m pleased a contractor has been appointed to help deliver this essential accessibility upgrade at Wyee that will greatly benefit older people, people with disabilities and those travelling with prams and luggage. Guided by the feedback received from the community late last year, detailed design for the project will now start and construction will commence in coming months. I have to acknowledge the State Government and Transport Minister Andrew Constance for giving this project the priority and attention it deserves. The upgrade at Wyee Station includes the installation of three new lifts to link the pedestrian footbridge to the platforms and upgrades to the existing pedestrian pathways to improve access. Travellers will also benefit from a new kiss-and-ride space on Gorokan Road, a new accessible parking space, upgrade to stairs, a new accessible toilet and accessibility improvements to the waiting room. Improvements will also be made to CCTV, wayfinding and lighting to increase safety and security of station customers. This is another important investment in the Wyee community and, along with the sewer connection project which is scheduled to be completed by the end of 2020, this will change many lives for the better. Exciting times ahead for Wyee.